The new City Centre which is coming next month, originally believed to be the Town, has been revealed! The official name has been confirmed to be Island Central area and above we can see a detailed version of what it will look like on the map. In this post, I thought I’d go through some of the speculation for the new area, starting with the image above. On the left, we see what I assume is the transportation station to igloos, with three unknown buildings being on the right. 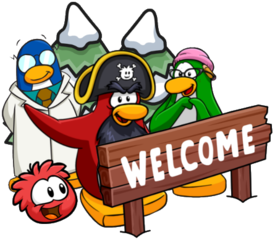 One looks a lot like the Puffle Hotel, and what’s that building on the far left? These are all mysteries which I suspect will be uncovered within the next month! The detailed sneak peeks we received today were of Franky’s, the new pizza place which will be coming with the Island Central area. It appears that this will be a sort of in-door like room, and my guess is that a lot of the items here (including seating) will be interactive, which is super cool! The other thing to note is the music! Franky was a musician, and it appears that he will be coming over to Club Penguin Island, but spicing up his personality a bit with some…pizza? Thank you very much for reading this post, I’d be interested in hearing your thoughts on the new area! You can read the rest of the official post here. I’m really liking this area so far, and I can’t wait to see more sneak peeks soon! I’m really hoping for some sort of water fountain, mainly because they just look cool, but I’m also hyped to explore what’s around! 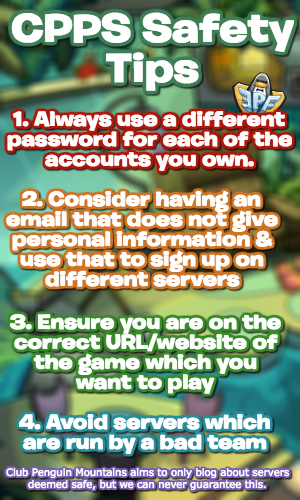 Be sure to check back for more information regarding Club Penguin Island! That’s a cool name, I like that a lot! That’s a cool name, really interested to see how your game will turn out! I already have a sneak peek of the Night Club! How can I share it with you? thanks for the site! il upload it THIS MOMENT! I don’t think they will tbh, I’d be surprised if they did. You never know though! There should be customised Puffles. Or maybe we could get our Classic Puffles Back? I think we will be able to adopt some of our puffles again, but I doubt customised puffles will happen. Just doesn’t feel right! WAIT. They shouldn’t bring back the Rainbow Puffle! You know what they should bring? This is quite exciting. I’ve been getting tired of CPR’s antics, so I might quit CPR soon and come back on CPI.